You can have solar energy powering your home, school, church, community building or business easily and economically by installing a mains electricity supply integrated grid connect solar rooftop system! Over the life of a PV system, you’ll be able to power your home with electricity cheaper than what you pay for from the grid. Learn more about grid connect home solar power systems. Businesses large and small can reduce carbon emissions and electricity bills by installing solar power systems! Learn more about the financial opportunities and benefits for businesses. While the government schools grant is no longer available, a solar installation can cut your facility’s power bills. Alternatively, if your school is in a remote area and unable to connect to the mains grid, other rebate programs are in place. In a remote location away from the mains grid and need a stand alone power solution? We have an off grid solar power system section for you – all the information you’ll need regarding equipment, systems and rebates! Sun shines on the solar panels that then generate DC electricity. Any surplus electricity generated by the system not used by your appliances feeds back into the electricity supply grid. For which you receive a credit that varies depending on the state in which systems are installed. Aside from the components, Energy Matters also makes installing systems simple! Learn more – tips for choosing solar panels and estimating how many you’ll need. Reduce or wipe out your power bills altogether while helping to reduce energy related carbon emissions! Check out our specials, get an instant solar quote for expert, obligation-free advice! 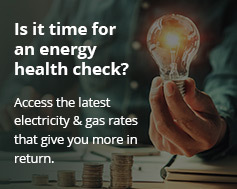 Join the 23000+ Australian households saving money on their electricity bills with solar power systems installed by Energy Matters and its partners.